Last Wednesday, a shiny new food truck stopped outside a trailer park in Milton. Eighty of the park's 250 residents came out for a bite. 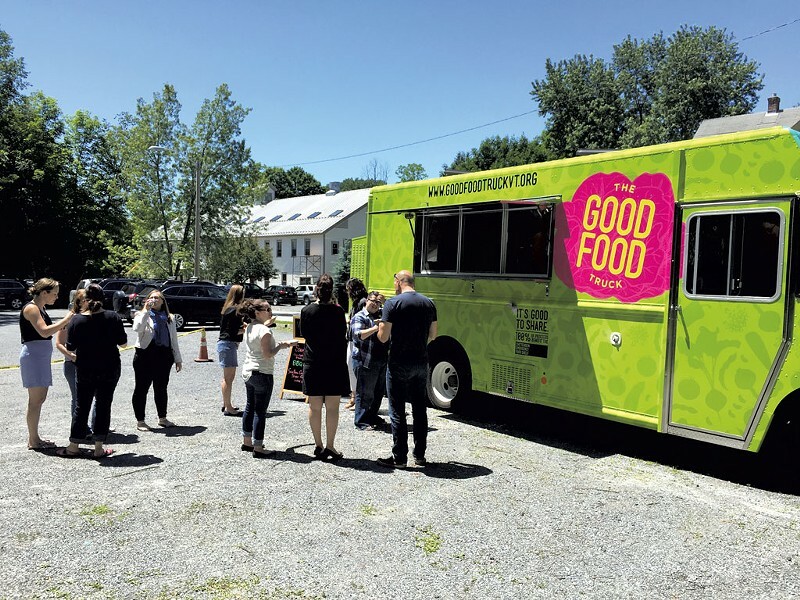 While this may seem unremarkable — food trucks are everywhere these days — the artisanal eats emerging from the Good Food Truck were handmade with ingredients from the Vermont Foodbank and the Chittenden Emergency Food Shelf. The cost? Free. 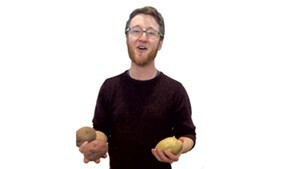 Food truck manager Emmet Moseley says the truck, which is a project of the food shelf, is intended to target food-insecure residents not served by that organization's pantry and soup kitchen in Burlington's Old North End. Three days a week, the truck will pop up at sites such as the Milton trailer park and Shelburne's Harbor Place, whose 150 residents live in former motel rooms sans proper kitchens. Moseley says the truck's mission is as much about outreach as it is about feeding the hungry. "This is a great way to educate people on what's seasonal and local even if they aren't familiar," Moseley says. Last week's southern-themed dinner featured McKenzie hams, braised greens from local farms and grits with cheese from von Trapp Farmstead. While that may seem basic enough, "Ninety percent of the people had no idea what grits were," Moseley says. "I don't consider that being much of a stretch from a culinary perspective, but you really have to try and meet people where they're at." One day a week, the truck will serve the general public from outside L.L.Bean in Burlington. Lunches will cost $10 to $15, and proceeds will help subsidize the free meals. Moseley says he hopes the downtown presence will also serve as outreach for the food shelf's work. "[The truck] will give people another avenue to find out who we are and to connect in a different way," Moseley says. The original print version of this article was headlined "The Road Less Traveled"